I have recently been suffering from extreme shoulder and arm pain, also affecting my neck muscles at times as well. 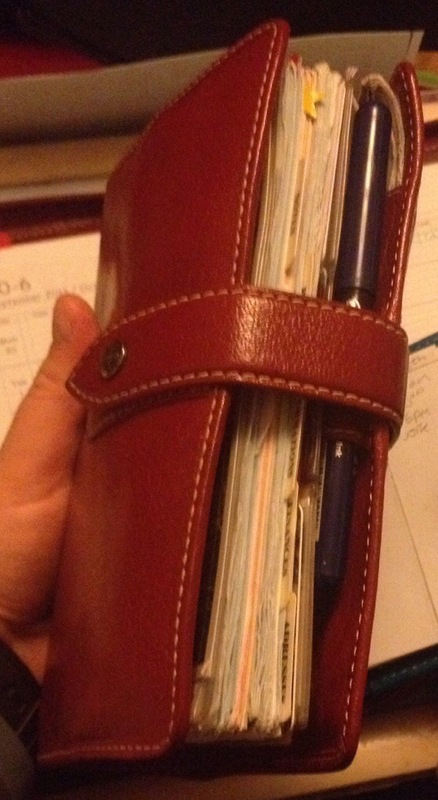 So I made the decision to try and use my mini Metropol Filofax on the go and then use my A5 zipped Holborn again at home, instead of my VERY stuffed and rather solid, brick like personal Malden! 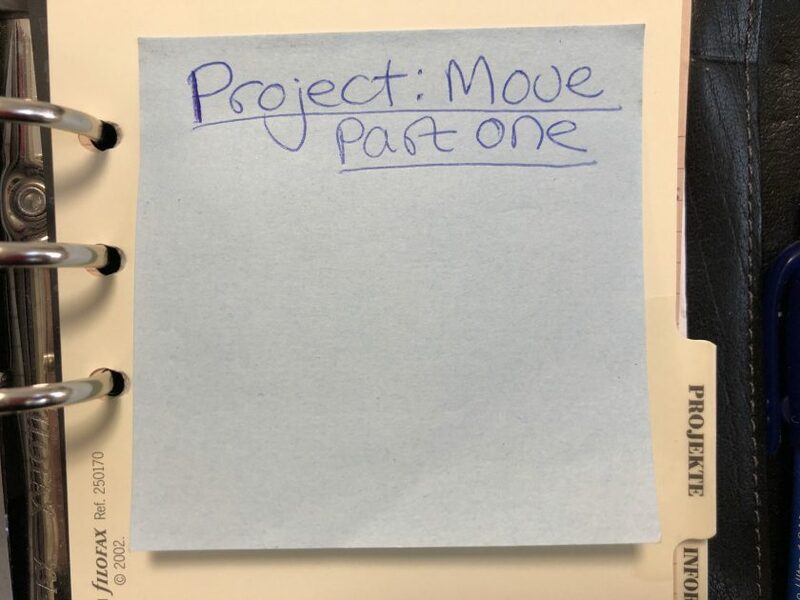 This will mean that EVERYTHING will be entered into my A5 and then every week all the weeks appointments get transferred to the weekly pages (the month on 2 pages will be updated as well if necessary) then each evening I will look at both and transfer any thing new from and to each. 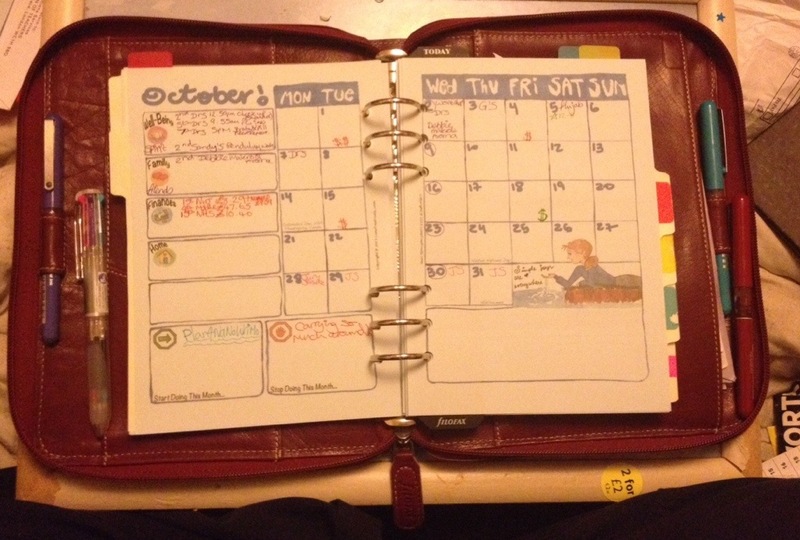 In my A5, I am back to the week on 2 pages enhanced time management view which I really love! They are the ones from Philofaxy although I have customised them and printed them to light blue A5 paper. I am also still using (and loving) LimeTree’s month on 2 pages as they are fun, colourful and I have been finding them really useful for keeping track of my months. I am eagerly anticipating the release of the 2014 ones so I can get them into my planner ready! These are the month on 2 pages I did by hand (I realised using an A5 sheet of paper will give me 4 mini sized pages, well they are actually just A7 but fit ok into the Metropol so I left them a little big!). I would love to have these pages printed up but I don’t know how I will manage them, seeing as the weekly pages are pretty simple it almost seems silly to. But we shall see, I will draw the page divisions in ink if its working but as this was the first attempt I have left them in pencil. The silver writing utensil in the pen loop is actually a Parker Pencil. I could do with a smaller (less pointy on the end) pencil but my favourite Staedtler Mars Micro 0.7 is a bit longer (although it might not be quite so sharp and therefore dangerous as my friend found the Parker one to be on Wednesday as I accidentally managed to scratch her arm as I was holding my closed Filofax with pencil in loop and trying to get something out of my bag! Oops!). I’m not really going to be using my mini as a wallet as I am using a simple coin purse at present. However I am storing some cards in the few slots that I occasionally need while I’m out. 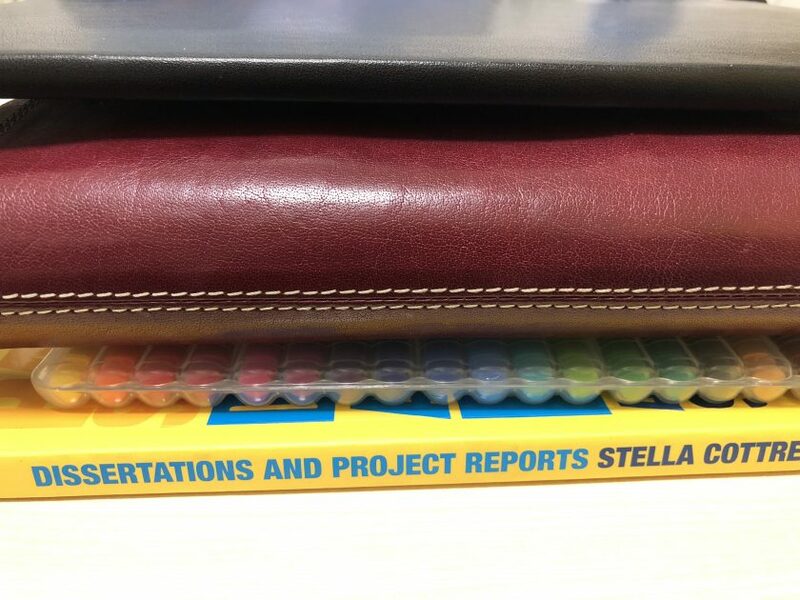 Do you have and use a mini Filofax for your portable organiser rather than just a wallet? What inserts do you find work for you? 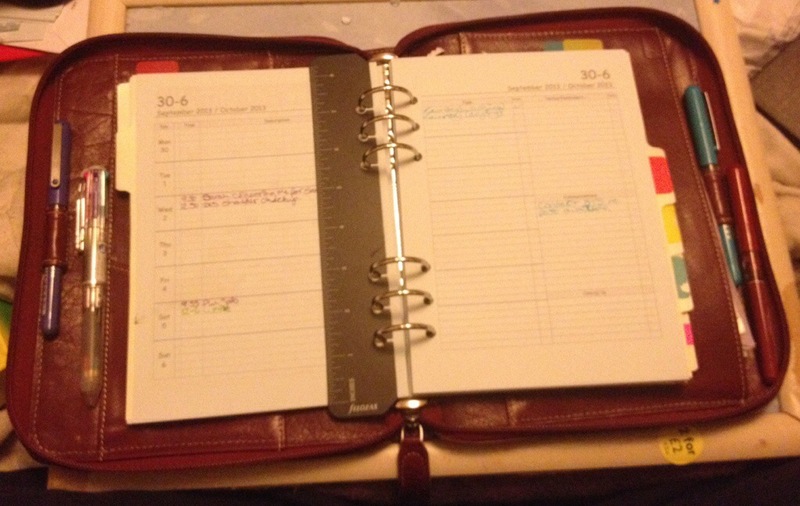 Are the generic week on 2 page ones that come in the mini from Filofax spacious enough for you or do you put in other pages instead/as well? Do you have or would you like to use a mini but can’t because of the page size? What would make you able to use it? I am really on the hunt for more ideas for using the mini as my on the go organiser, I have been viewing several YouTube videos but most of them seem to use the mini as a wallet and those that have diary pages just have the standard week on 2 pages in them but they have only just started using them so they have not said how well they work! Maybe I have missed a video or blog? I don’t think there’s any way I could use that size unless it was just a calendar and nothing else. 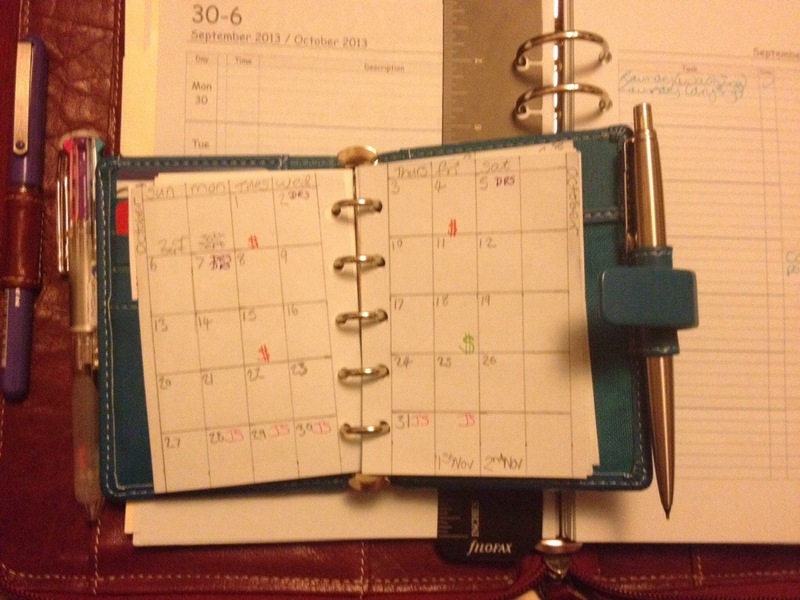 I am basically just using the mini as a calendar to keep track of work shifts and appointments on the go. 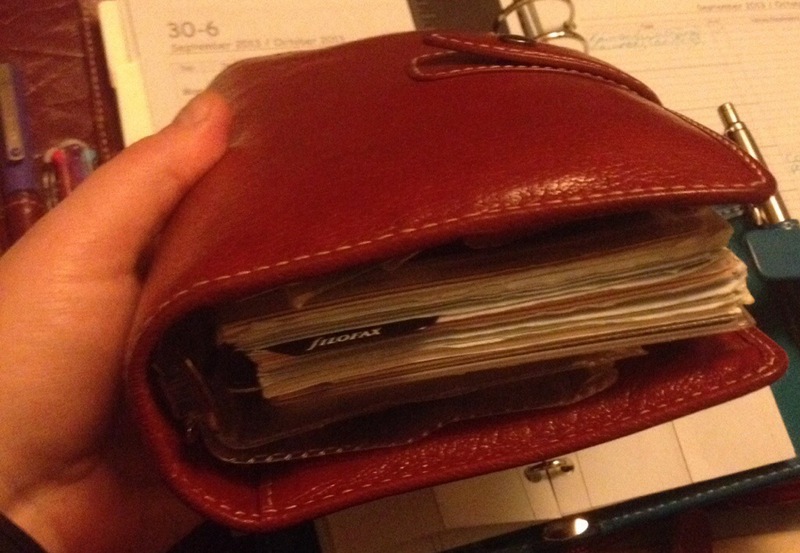 I do have a few cards in there as well but I keep the main cards I use in my coin purse so it’s not too bad. Seems to be working ok so far, apart from the pencil I have in the loop is too long and sharp at the end so I’m going to get an actual Filofax one to sort out that issue! I might change the weekly pages as I’m hardly using any of the page – the actual standard inserts may actually work out ok, especially if I can find some that start on a Sunday! 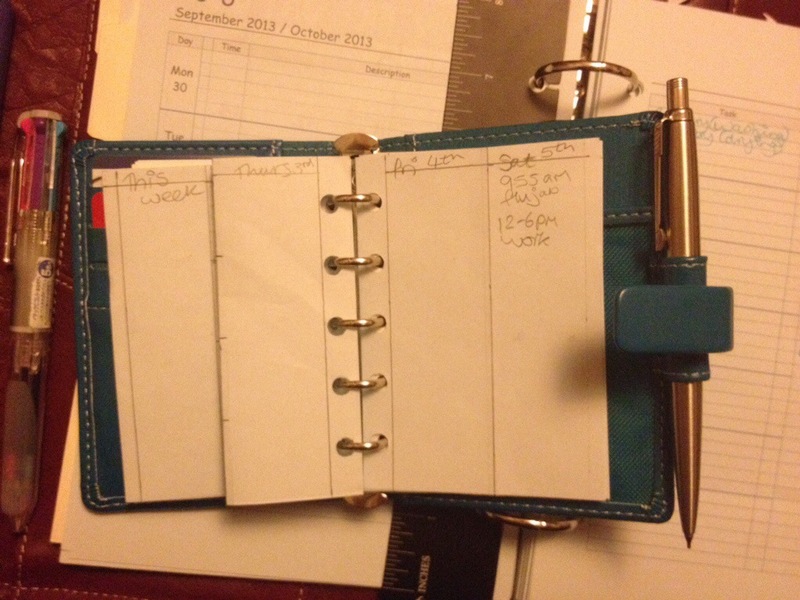 I use a pocket ‘on the go’ and and A5 as my main FF so it means I have to do the same as you and ensure both my diaries are up to date but as a lot of appointments are made several weeks in advance I find that I cannot just put them in my monthly as I need space for the notes that accompany the item so it goes immediately into my weekly and also my pocket as I might be out and need to refer to several weeks ahead to make an appointment. Sorry for the long reply and hope you know what I mean! I don’t have much to put next to appointments really so can get away with the small amount of space at present. However, I do suspect that I might have to upsize or just use my A5 if I get a new job in the future! I also considered using my Pocket Malden but wanted to try a mini first as an experiment 🙂 I am hoping to get my hands on another pocket Filofax ASAP so I could even start using that we shall see. I am definitely happy using and updating 2 Filofax at present though, I don’t need much on the go so it’s really helping with the bag weight issue!